HispanicAd, in association with Adam R Jacobson, is proud to announce the availability of the 2018 Hispanic Social Marketing Report for free download. 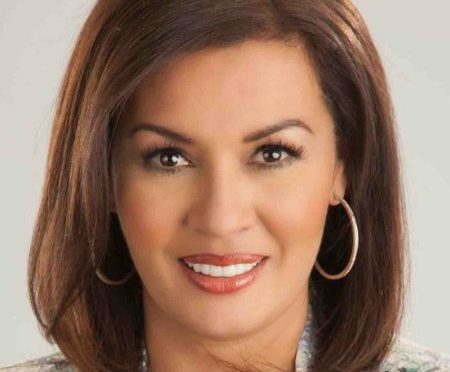 A news anchor with two decades of experience in Los Angeles has been tapped to help the 6pm and 11pm weeknight newscasts at Univision’s KDTV-14 in the San Francisco-Oakland-San Jose DMA. Pérez formerly anchored the 5pm and 10pm newscasts on Spanish-language unaffiliated station KWHY-22, presently owned by Meruelo Media; Pérez was part of the MundoMax team, and prior to that with MundoFox, at KWHY. In fact, Pérez had been with KWHY since July 2001, starting as a reporter. Peréz is a native of Mexico and holds a law degree from Universidad de Guadalajara. She was previously EVP/Network and Cable Sales and is a 25-year Univision veteran. At the same time, Jorge Daboub is now EVP/Local Media Sales. He will report to both Mandala and John Eck, Univision’s Chief Local Media Officer. Concurrently, Jack Randall is being promoted to EVP/Business Development. He will continue to report to Mandala. Before joining Univision, Randall held sales roles with Fox Sports and United Stations Radio Networks (USRN) in both New York and Los Angeles. Furthermore, John Kozack is being promoted to SVP, overseeing New York Network and Digital Sales. He will report directly to John Kelly, who will expand his role from EVP overseeing Digital and News Sales to include oversight of the New York Network Sales team. Kozack played an integral part in building relationships with key agencies and has served as VP/Network Sales for Univision Network since 2003. With more than a dozen years of experience in executive sales leadership, Kelly worked at NBC Universal. Available Now: Your Complete Hispanic TV Upfront Outlook! 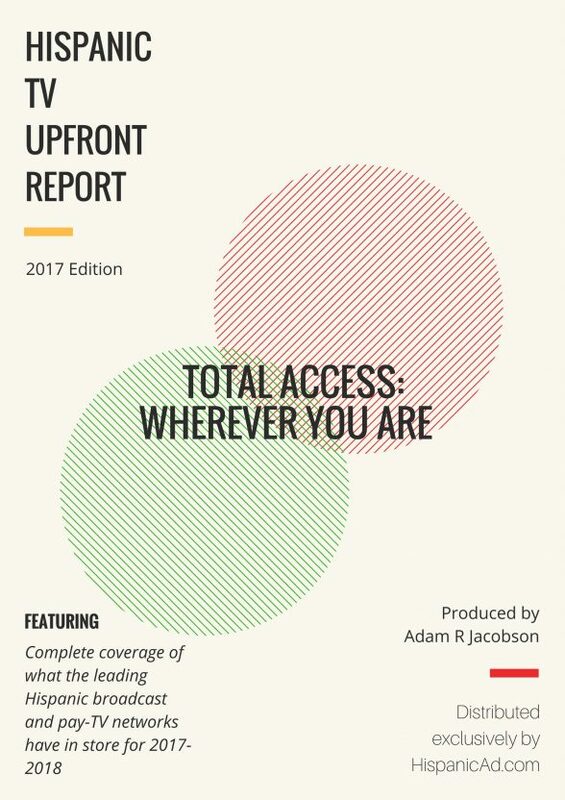 The Adam R Jacobson Consultancy, in partnership with HispanicAd.com, is pleased to announce the availability of the 2017 Hispanic TV Upfront Report. This comprehensive guide, distributed exclusively by HispanicAd, offers readers a total look at the programs and trends shaping Hispanic-targeted broadcast and pay-TV networks serving Latino viewers across the U.S. Interviews with key executives from the leading networks will focus on what the big new shows are, how sports programming still draws huge audiences of both men and women, and why Spanish-language programming will continue to remain important for the next generation of Hispanic TV consumers. The 2017 Hispanic TV Upfront Report is a specially produced electronically-delivered supplement to the regular HispanicAd.com weekly newsletter. To read and download last year’s report CLICK HERE. From Facebook to Snapchat, and from YouTube to Instagram, social media has been woven into the fabric of our lives. For the Latino consumer, social media platforms are fully integrated into how one communicates with friends and family near and far – via video, audio, photography and text messages. It’s hardly a secret that social media and Hispanics go hand in hand. 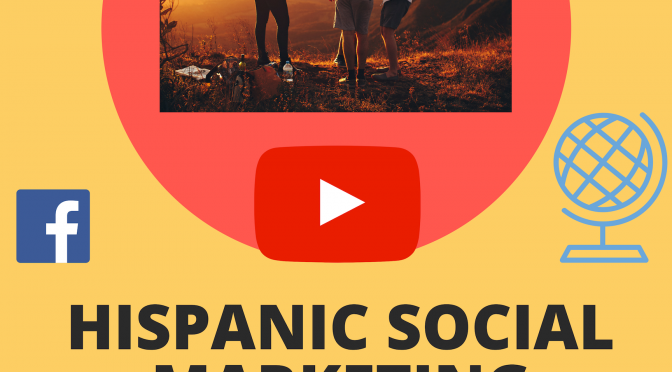 In May 2015, eMarketer declared that the U.S. Hispanic consumer makes social networking “a crucial part” of their digital lives. This validated what was, and is, considered to be conventional wisdom among marketers and brand managers. Hispanic social network users will total 39.4 million people, up from 32 million in 2015. This compares to 115.6 million Whites, a slight rise from 111.1 million Whites in 2015. Similarly, growth among Blacks is slow, moving to 24.8 million Blacks in 2018 from 23.2 million in 2015. Asian growth is also tepid, moving to 10.9 million in 2018 from 9.5 million in 2015. Some 79.5% of U.S. Hispanic internet users will access social networks at least monthly, versus 71.4% of all U.S. internet users. Of all social network users, Hispanics will account for 1 in 5 people. The strong family ties typically seen among Hispanics, and how this transposed to social media use, was examined in great depth in summer 2014 by Ipsos MediaCT for Facebook. One key takeaway from this report: Nearly half (48%) of U.S. Hispanics’ Facebook friends were family members, compared to 36% of total U.S. Facebook users. Meanwhile, marketers have a plethora of choices when it comes to how to culturally communicate with U.S. Hispanic social media users. CMOs and brand managers are well aware of the need to be authentic, and why a simple translation or transcreation – even in the digital universe – may not bring the same impact as a fully developed initiative with Hispanics at the heart of the effort. With “in-language” now a secondary conversation to “in-culture,” the way Hispanics use social media very much brings one’s language front and center to any discussion a marketer should have with its social and digital media team. This was first brought to wide-scale attention in May 2014 by Latinum Network, which discovered that 33% of bicultural online Latinos said English was their language of choice when posting on social media while 27% used Spanish and 40% switched fluidly between Spanish and English. What does this mean for marketers? Read between the lines: Spanish was used more commonly with posts users wanted family to see. For classmates and co-workers (who may not be Hispanic), English was the choice. The results reinforce the assessment that today’s Latino consumer easily shifts between their English-language world and Spanish-language world – oftentimes, in the same sentence. It also means marketers would be best served by engaging in social media efforts in both Spanish and English. Yes, the beloved millennial Latino is largely living in an “English-preferred world.” But, they could also be a much-desired “influencer” for marketers. If Hispanics family members trust each other and share their buying preferences and “likes,” Spanish-language efforts must be seen. By engaging in Spanish-language social marketing, along with English-language efforts that are culturally sensitive to today’s Latino consumer, brands can best reach a diverse and still-vital segment of consumers. In this report, we discover that Hispanic millennials aren’t the only group of Latinos that actively interact and engage with brands through social media. In fact, one group of AARP members stands out for their online prowess. We also review how experiential marketing and social media are a perfect combination, shifting the focus away from impressions. This report also looks at several case studies, and how every account requires a different approach to reaching the Hispanic social media user. Lastly, we remind marketers that, despite the elevated conversation in the U.S. on issues pertaining to undocumented immigrants from Spanish-speaking countries, the U.S. Hispanic population is driven by births, rather than immigration. Thus, many of the Latinos brands are conversing with through social media were born in the U.S.A., into families that may have a strong cultural connection to their nation of heritage but are 100% American. Remembering this fact goes a long way with “authenticity” and relevancy. 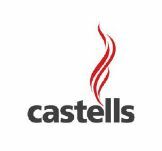 With more than 3,000 of the nation’s most influential Latino digital content creators, journalism, music, marketing, cinema and business converging in Miami from April 3-6, 2017 for the Hispanicize conference, the eyes and ears of CMOs and brand managers will likely be fixated on the trendsetters set to speak. We hope they listen, and use this report to help guide them on the smartest route to reaching social media-savvy Latinos. Did Jose Villa Just Kill Your Business? In a declaration distributed over the Thanksgiving holiday — appropriately, on Black Friday — José Villa, President of Los Angeles-based digital cross-cultural agency Sensis put another dagger into the fragile heart of U.S. Hispanic marketing. That’s right. Some 65% of the Hispanic population falls into this group. So, it’s natural for a digital guy who needs business to put marketer focus on this digitally savvy group, and hype up bilingual, bicultural blah-blah while ignoring some simple statistics that continue to get ignored by agenda-driven business leaders. Who has the greatest amount of disposable income? Who depends more on Hispanic (i.e. 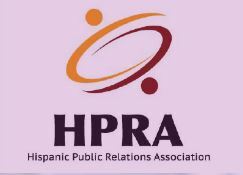 Spanish-language media) than any other Latino group? I challenge you to put “Gen Z” and “Millennials” as one of your top 3 answers. Ladies and gentlemen, we are at a crossroads as an industry ready to tear itself apart over the digital revolution, increased use of English as a preferred language (but not an exclusive one), and advertisers who still only know what we as an industry tell them. So let’s start telling them the truth and stop depending on agenda-driven save-my-business propaganda. If not, the clients will be eating ostrich burgers with sofrito and adobo made from the contracts you lost. Well, did Villa ask perhaps why? The AARP Latino has far more disposable income. They are more likely to own or rent their own home. They likely spend more on travel, on health care, on clothing, on … well, just about anything. Older Hispanics are more dependent on Spanish-language media consumption. So, as a brand manager with a total marketing directive and limited budget, this would be more effective since younger Latinos can be reached on The CW and ABC, right? Here’s a serious question for you, José: Where else would be as wise as an investment in a total market world?? Villa continues about how the millennials aren’t getting their fair share of ad dollars, with regard to Hispanic efforts. As has been said many times in various ways, a Facebook “like” is not a sale. We have put too much focus on millennials and Gen Z, a generation that has far less dollars than the Baby Boomers. Yet we continue to be fixated on a Madison Avenue model that is stuck in the 1970s with respect to who the key target should be — first-time homebuyer, newlywed, baby on the way. IN 1975 that could describe many a 27-year-old. “The reality is that the business of Hispanic marketing is still stuck in the past,” Villa writes. That is incorrect. The entire U.S. marketing industry is stuck in the past by continuing to hyperfocus on a segment of consumers that may be trend-setting but aren’t the biggest spenders. That must radically change if advertising agencies hope to stay relevant in the next five to 10 years. Otherwise, every major will have an in-house shop capable of doing the things you failed at in 2016. 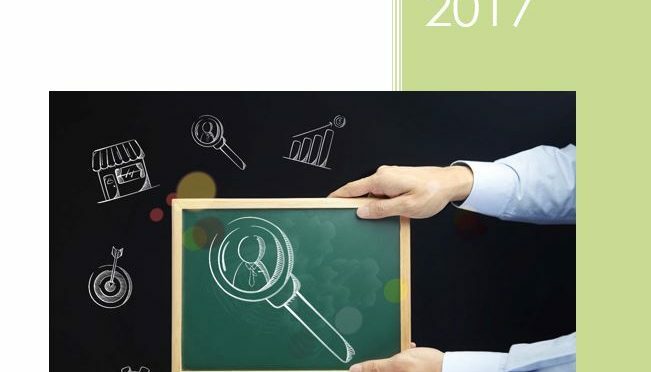 The 2016 Hispanic CMO Hispanic Thought Leaders white paper, produced by Adam R Jacobson exclusively from HispanicAd.com, is now available for free download at HispanicCMO.com. This year’s report again tackles the topic of “total market” — and how our honored thought leaders have changed how they accomplish their goals both through internal restructurings of the marketing and brand management teams, and from a reimagining of how multicultural agencies influence and direct a brand’s overall message. Our eight Thought Leaders are champions of Hispanic marketing, singled out by a team of professionals led by Gilbert Dávila, Chair of the ANA Multicultural Marketing & Diversity Committee. The report opens with a report on “total market” reaction, and action, on the agency level. We speak with Alma Co-President/COO Isaac Mizrahi and López Negrete Communications founder and President/CEO Alex López Negrete to get their unique views on how their respective shops have embraced — or rejected — “total market” approaches. López Negrete is especially vehement in his opposition to “total market” techniques seen in recent years. The 2016 Hispanic CMO Thought Leaders Report is presented by López Negrete Communications. The release of the 2016 Hispanic CMO Thought Leaders Report is tied to the ANA Multicultural Marketing & Diversity Conference, 18th annual ANA Multicultural Marketing & Diversity Conference, presented by Time Inc. The event is October 9-10, at the JW Marriott Los Angeles at L.A. Live. Chris Carrillo, a veteran of SBS’s Los Angeles operations who has served as GSM, LSM and as a Sr. AE for the company’s regional Mexican KLAX-FM 97.9 “La Raza” and Latin Rhythmic KXOL-FM “L.A. 96.3,” has been named VP/GM for the Spanish-language duo. Carillo has also been a Sr. AE for Clear Channel’s radio stations in Los Angeles. Carillo assumes duties held since mid-July by SBS COO Albert Rodiguez and, prior to that, by Marko Radlovic. Radlovic exited on July 15 after rejoining SBS/Los Angeles as SVP/West Coast Regional Manager in June 2015. In that role, he also had oversight of regional Mexican KRZZ-FM 93.3 in San Francisco. Radlovic had previously held various managerial positions at SBS from 2001 through 2011, including roles as Chief Revenue Officer and COO. From 2011-2005, he served as President/Market Manager for Cumulus Media in Los Angeles.